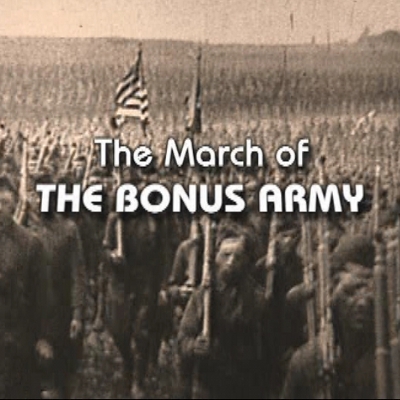 In 1932, 20,000 WW I veterans, many of them with their wives and children, converged on Washington, D.C. to ask Congress and President Herbert Hoover to grant them early the "bonus" payment they had been promised. The rag-tag "army," encamped near the U.S. Capitol Building was looked upon by many in political office as an unruly mob. President Herbert Hoover's order to evict 10,000 veterans resulted in a brutal attack by cavalrymen commanded by Major George S. Patton which contributed mightily to ending Hoover's presidency. 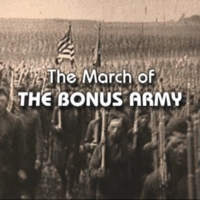 Uth, Robert, Marcus, Glenn, and Center for Defense Information, “The March of the Bonus Army,” DC Digital Museum, accessed April 22, 2019, https://wdchumanities.org/dcdm/items/show/1241.